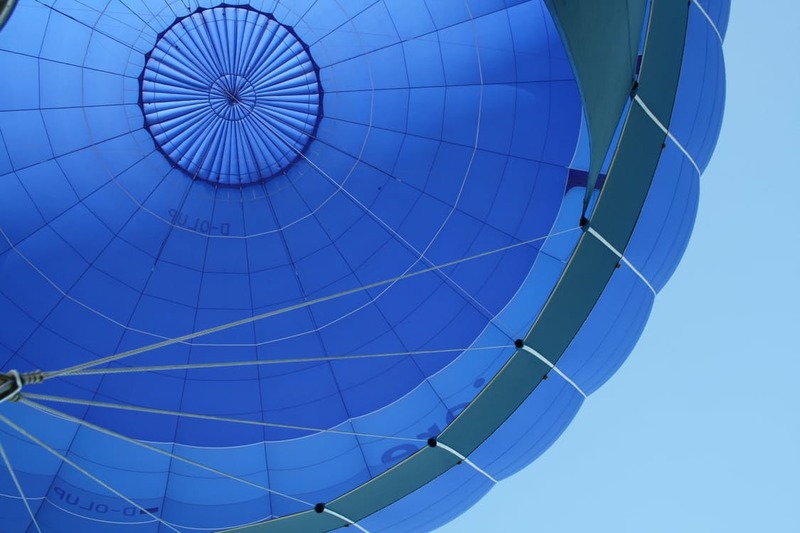 We believe Risk Management should not merely be an “add-on” to operations or just a topic for Finance Managers, Risk Management or Audit Departments. It is not just about identifying and killing big threats that ‘lurk outside in the dark’. Risk Management is about continuously improving your organization and products in order to outclass the competition. Risk Delta is designed for this purpose. Risk Delta provides a single, comprehensive system to manage your operational risk management requirements. The solution supports operational risk identification and assessment, control evaluation and monitoring, incident & loss management, key risk calculation and risk reporting. The solution replaces cumbersome, expensive, and often Excel-based risk management tools with a highly automated, efficient, and collaborative approach. The solution is scalable and flexible enough to use in any organization, gathering and transforming operational risk data into risk intelligence to strengthen decision-making on every level. Users may access the secure environment via web or mobile devices. The solution provides a full audit trail and standard set of reporting for external and internal audits. Risk management should be an integral part of any organization offering more than the obligatory set of checks and balances that assures quality of operation and accuracy of information output. It should maximize the learning and adaptive capacity of your organization. Optimizing and adjusting your performance in a continually changing environment. 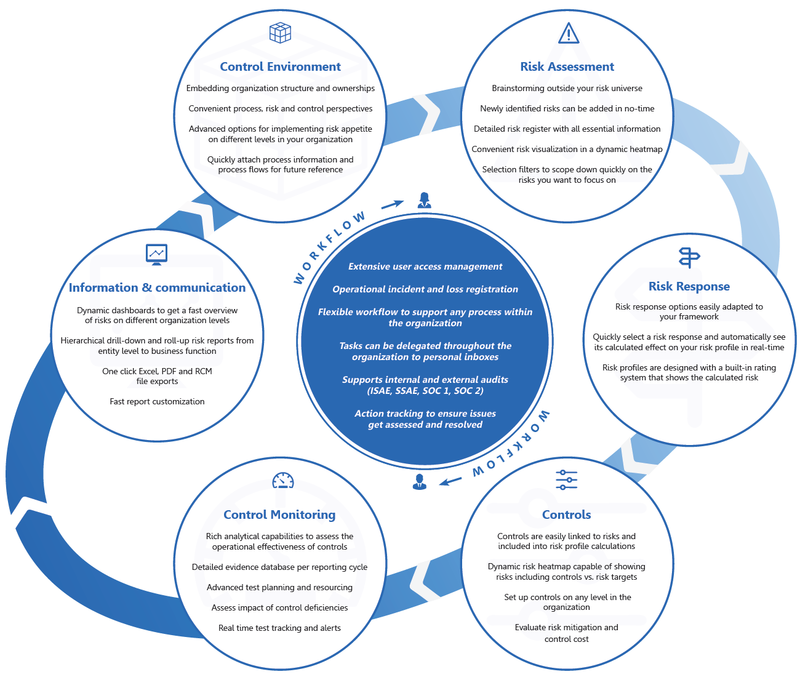 Risk Delta is a smart integrated risk management system that can take your organization right to the very top of the Risk Management Maturity curve. Improving your operational efficiency and enhancing risk analysis capabilities, encouraging more awareness and a pro-active attitude towards risk. 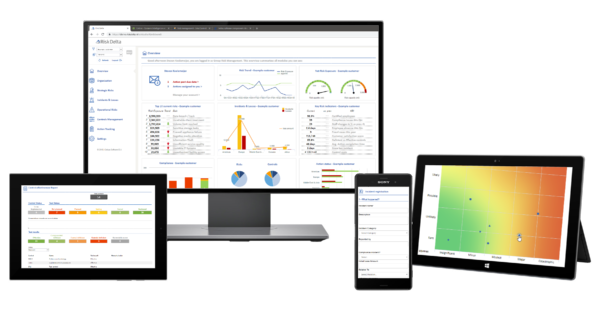 Imagine all your key processes being driving by workflow, having a real-time comprehensive overview of control effectiveness throughout the organization and being able to check the risk footprint at a glance, on any device. Imagine all employees having a personalized entry point to a centralized risk management system, working with personilized inboxes that clearly states all tasks, deadlines and required input in such a way that training to use the interface is very limited. Risks develop over time and new risks may arise. Imagine having an interface that not only shows you the current risks but shows you the development they have made over time due to the controls put into place. Interested in a demonstration of Risk Delta? We have a demonstration available in the cloud for evaluation purposes for you and your colleagues.